So Easter is upon us and my second year of University is pretty much finished as my last two pieces of coursework were handed in earlier this week. All that’s left now is a minor exam in mid-May but for the coming months I will have an insane amount of free time to crack on with a load of TV series, movies and games that I’ve been meaning to do for a while. It should also give me some time to start putting up some creative stuff on here and if you swing by the blog next week I’m going to post a part of one of my short stories that will progress each week, I hope you’ll enjoy them. I also plan to enter a few competitions in the next few months and will be keeping you updated as to how that goes. As for now it’s time for me to plough on with some House of Cards, continue my rise to greatness in FIFA and get excited for the start of Game of Thrones Season 3 tomorrow. In amongst that I hope to throw in some vibrant splashes of quality movies too and I’ll of course be keeping the reviews ticking on here. As for the reviews of the past week I kicked things off with my take on Maniac a gruesome horror remake starring Elijah Wood. CAGE RAGE season got its first cinema trip in the form of Stolen. And finally The Strokes returned with new album Comedown Machine. Comebacks are a strange thing in the music business, you never know quite what you’re going to get. With The Spice Girls, for example, you get nothing, they sing a few songs at a big event, Victoria Beckham will maintain a face that looks like a slapped arse because she’s so above all the other members and the tabloids will write of in-fighting and hatred. Whereas, on the other side of the spectrum you have someone like The Smashing Pumpkins a band desperately attempting to prove that they can still write good music and not have to rely on their back catalogue. The Strokes’ comeback in 2011 with Angles was a much harder thing to make full sense of, while it contained flashes of a new wave of Strokes music it also couldn’t seem to get far enough away from their old style, it was a strange album; enjoyable but somehow lacking. This week The Strokes followed it up with the release of Comedown Machine, perhaps an album that makes it easier to understand why they decided to come back in the first place. Right from the off it becomes a lot clearer what we’re getting here. The signature lo-fi style of the bands seminal record Is This It? is apparent throughout and any kind of experimentation that was to be found on Angles is not anywhere to be seen. 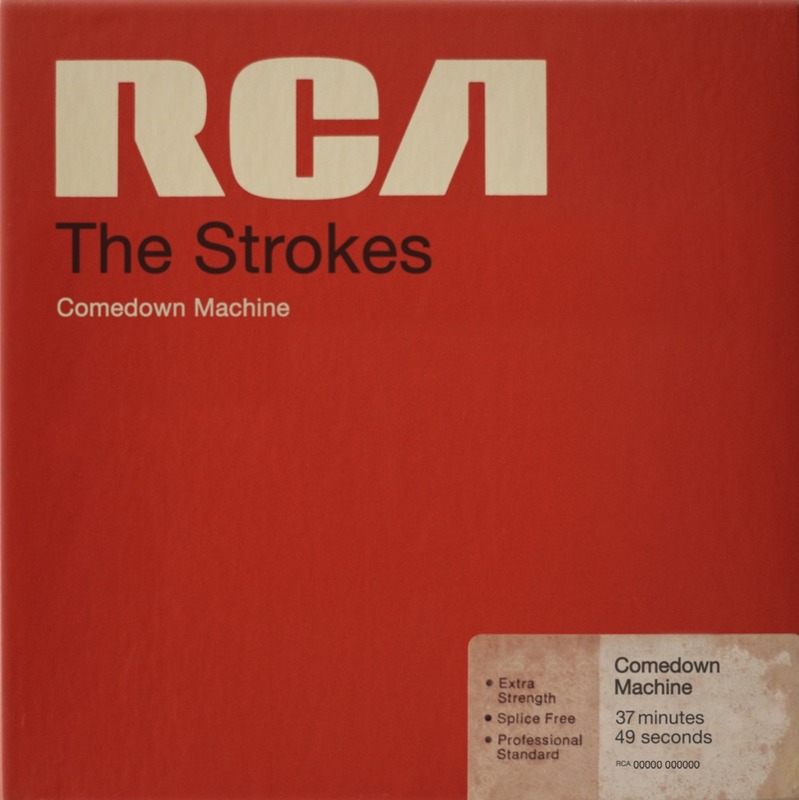 Comedown Machine has a few stand-out moments where a guitar solo will rip through a melody catchy enough that you find yourself humming along on your first ever listen. There is not a track on the album that I could say I don’t like, but for some reason as with Angles, there is something lacking. With Angles, though, I couldn’t put my finger on what was wrong and still can’t now with Comedown Machine I know exactly what it is; there is nothing new here. The record sounds very much like a band on auto-pilot. A band that in their prime re-defined indie music and have a lasting influence as one of the genre’s greatest bands, their initial split came at the right time I feel as their third album, First Impressions of Earth, proved that they all wanted to try something different. As they went off into their separate careers none of them found the same kind of success they had with The Strokes and with Comedown Machine it seems like a band who have caved in to the industry, they don’t want to do anything new because people complain, if they go off and do other projects people don’t care so what they’re going to do is give us what they think we want. They sound like a band bored and uninterested in what they’re doing any more ultimately making The Strokes Mark II rather a shame in the end. That said the album is still a decent listen even they are on auto-pilot it just a shame that more risks weren’t taken. I could wrong, but from the evidence so far I don’t think The Strokes should ever have returned if they wanted to maintain the status they once had and it’s only a matter of time before they bring out a record that doesn’t get by on the same formula. My first cinema trip as part of CAGE RAGE came this week with the release of Stolen, if you not sure what the plot is watch Taken replace Neeson with Cage and make him a thief rather than a bodyguard and you’ll be on the right track. In fact just do that and then you won’t need to see the film what you imagine it to be is a tonne better than what it is. Directed by Simon West who previously worked with Cage on Con Air, Stolen is a whole different kettle of fish. The film opens with Cage and co. robbing a bank and getting caught after being sent to jail for eight years he tries to pick things up with his estranged daughter as they were left off she’s having none of it but soon after their initial meeting she gets kidnapped by Cage’s old partner who he had shot in the foot. What ensues is a mish-mash of poorly strung together action sequences, horrendous acting and gaping plot holes. It’s incredibly hard to find any kind of redeeming feature, other than of course the fact that Cage is in it. The whole film is dumbed down for a 12A audience and it seems as everything has to be explained for viewers under the age of three to get a good idea of what’s going on, it seems the main rule of screenwriting and film-making as a whole, show-don’t-tell, is completely forgotten. As for Cage he is on auto-pilot here, showing slightly more emotion than in Ghost Rider but not a significant amount. There are one or two moments where he loses his cool but nothing to write home about overall making this a completely wasted cinema trip, still hopefully with his next release things will get better. So this week the film that grabbed my attention in the biggest way was Maniac, a remake of an eighties horror of the same name this version had been stuck in development for a long time before it finally got its release this year. 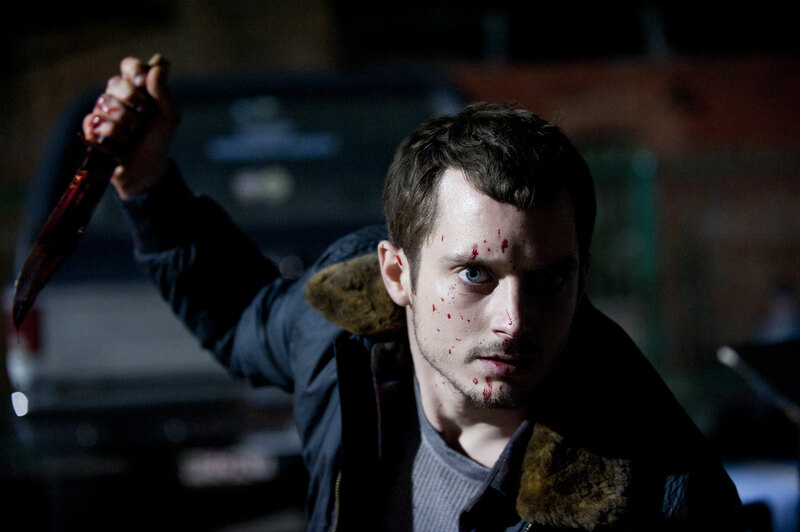 Starring Elijah Wood and written by horror veteran Alexandre Aja the film is shot almost entirely from the protagonists point of view, the only times we see Wood’s face are in reflections, with the exception of about two shots. If you’ve watched the red band trailer that I posted in my weekly update you’ll already have quite an idea of what the film is like. Its gruesome slasher that puts you in the shoes of the killer. The unique feel that the POV gives you is what stops Maniac from being you’re run of the mill slasher flick, it gives it its own edge. Elijah Wood is perfect in his role too, a million miles away from Bag End he manages to bring a soft and innocent edge to his deeply disturbed character who enjoys scalping his victims after killing them. The plot is not particularly exciting, Wood’s character has flashbacks of a horrific past giving which has turned him into a maniac, and all he wants to do is fall in love forming the central relationship of the movie, it leaves you thinking if it weren’t for the very clever POV idea there wouldn’t be much here at all. To summarise though, this is a devilishly gruesome horror movie that has a unique feature setting it apart from the regular dross we’re normally served up these days. Wood gives a great performance and overall the film deserves the cult status I’m sure it will eventually hold. Well the deadlines have been piling up lately and this weekend I find myself in the late rush for my final deadline of the year on Wednesday, it being my girlfriends birthday weekend as well though, means I’m left with little time to get anything done, hence why my first Saturday weekly update is being done on a Sunday. It’s been a fairly uneventful week unfortunately, as funds drop to haunting levels university life always becomes a massive amount more mundane and this term has been no different. It comes to the point where the next loan seems like the gold at the end of a rainbow of horror, even buying food is traumatic. Still the blog has come on in the midst of the madness and what has arisen from the chaos is the birth of my CAGE RAGE season which you may have read about in last week’s update, it’s going to be an ongoing season where I review of all of Nicolas Cage’s movies, but for more info head over to the page which I’ve set up to anchor all the reviews here. And this week I’ve also managed to get the first two parts of the mission done with reviews of Valley Girl and Rumble Fish. On top of that I reviewed hip-hop record Inspectah Deck + 7L & Esoteric = CZARFACE which provided a nice frame for my title this week so hope you enjoy. As far as other stuff goes there’s not a huge amount to talk of, however, the highlight of the week was probably watching Maniac on Wednesday so I’ll leave you with the trailer for that and will be reviewing it at some point in the week, there’ll also be more to come from CAGE RAGE. As CAGE RAGE continues the second step on my stairway to Cage heaven was Francis Ford Coppola’s Rumble Fish. 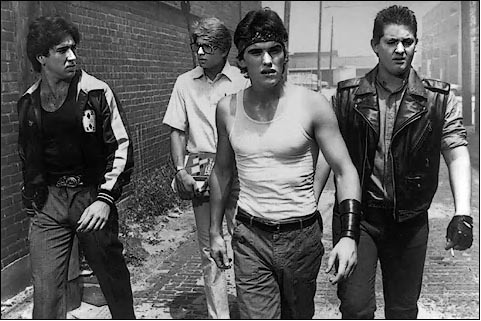 A stylish black-and-white street gang movie. Cage only provides support here as the lead roles are taken by Matt Dillon and an unrecognisable, young Mickey Rourke. Dillon plays Rusty James a character who is misunderstood by both his older brother (The Motorcycle Boy, Rourke) and his father (Dennis Hopper). Rusty James lives constantly in the shadow of his elders, his brother is some kind of legend on the street, but whenever Rusty James tries to be like him it goes drastically wrong. Shot entirely in black-and-white, until a few flashes of colour at the very end the best thing about this movie is how it looks. There are a number of outstanding fight scenes where some of the shots will get any movie fan excited. The story’s an intriguing one as well and while the main idea of the plot is fairly run-of-the-mill the way events pan out is clever and gives the movie an unexpected emotional kick. The performance from Dillon is strong and leaves you wondering why he’s only really gone on to star in mediocre cinema, he’s both believable and sympathetic as the insecure little brother and you really feel for him when he is belittled by his older brother. Rourke is something special here too. As for Cage, though, there really is not quite enough of him, when he is there he’s great and he is involved in the odd fight scene but once the film reaches its mid-point he is more-or-less out of the story altogether, which is greatly disappointing. As a film I found Rumble Fish an enjoyable watch, not without its flaws but artistically filmed and very well acted creating an emotional and gripping story with an empowering end. 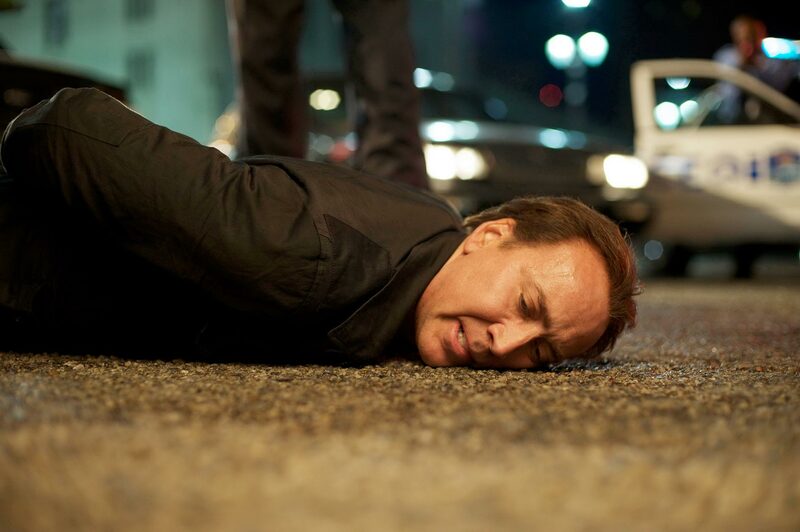 For CAGE RAGE it, sadly, doesn’t give us quite what we’re wanting, a great shame.